1. Awareness. If you want someone to change, first help them become aware of how their behavior is or is not serving others. This means you ask them questions. You ask things like, “Are you getting what you want here? Is your approach working? How do you think other people are seeing this?” The key is to avoid blaming them or asking them directly to change. It’s in their own reflection that the gate to awareness suddenly opens up. You can also open awareness by giving them a new model to follow. In other words, model the change you want from them. If you want them to be more kind, then you be more kind. Live so well that others find drive and strength from your example. 2. Acceptance. Before you seek to change someone, meeting them and accepting them exactly where they are. This does not mean that you must approve of their behavior. Rather, you can accept their humanity and you can intend to support them through their process. Sometimes, the greatest tool for change is kindness. Being more empathetic and kind toward other people can help them feel the support they need to take the courageous first steps to change. Accept others and they ask for help. 3. Accountability. People need to feel accountability to shift their behavior – like they are in charge of their life and responsible for it. One way to get that to happen is for you to share your goals and ask them for their thoughts in how to achieve them. This can inspire others to set their own goals, and as you share how you’re trying to stay accountable to yourself and your goals, it opens the same reflective thoughts in their mind. Ask people what they want, give them responsibility, hold them accountable, and be there for them as they strive. 4. Action. Work with others to help them figure out their steps to change. Help them figure out what to do. If they can take a little action toward a checklist or plan, they get more belief and confidence to make more change happen. When people do act, don’t condemn them when they fail – keep cheering them on. How do you get somebody to change? How do I change my parents? How do I change my teachers? How do I change the people I lead and that I serve? How do I change a team member who is being a jerk? Sometimes, we wish the people around us were different and that they would change their actions. So, how can you inspire that change? How can you help in that process? First, realize the odds are stacked against you. The world and people don’t change unless they have incentive and reasoning to change. Forcing somebody to change is a losing battle. Herein, I’ll share with you the process to change. Once you understand the process to change, you’ll understand some of the levers you can push or pull with others to have more influence with them, hopefully inspiring them to change. There are basically only four gates to change. If you master each of these four areas, you can change your life while also influencing other people to change their lives. Awareness refers to the act of becoming aware of the consequences of our behavior, and the quality of the behavior (i.e. good or bad). If it’s good, we want to do more of it. If it’s bad, we want to do less of it. It also involves bringing awareness to an alternative path for us; a new option, a different way of being, doing, thinking. If you want somebody to change, we first must help them become aware of their behavior and its quality, bringing particular awareness to the behavior that isn’t supportive of them or others. Your job is to be a mirror that identifies the behavior and results. This doesn’t mean that you blame them, nor does this mean that you ask for the request right up front. Rather, you can serve to reflect what you are seeing and how things are turning out, asking the other people/person to talk through it. It’s in their own reflection and talking through it that the gate to awareness suddenly opens up. It’s in this reflection wherein the person will reanalyze where they are at as well as reevaluate how things are going. Let them talk through it. 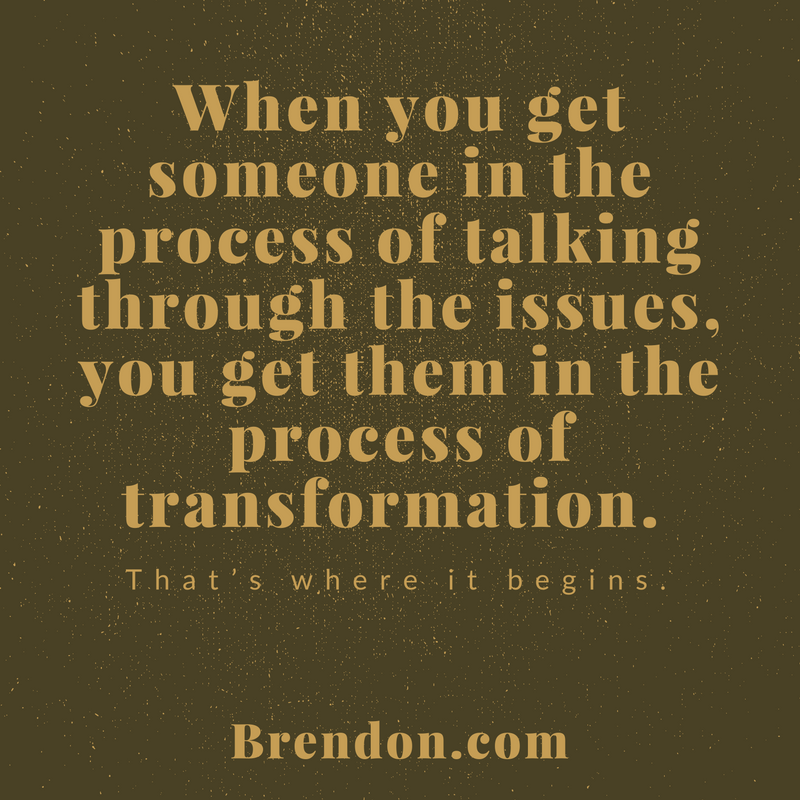 When you get someone in the process of talking through the issues, you get them in the process of transformation. That’s where it begins. This also includes awareness of an alternative path. This is where you come in. This is where you get to be the role model. We’ve all heard it before. ‘Be the change we hope to see in the world.’ And so, if you are going to do that, you need to be a role model. What do you want? Do you want them to be happier? If so, then you need to be happier and cultivate that in your own life. Do you want them to be more loving and vulnerable? If so, then you need to be more loving and vulnerable. Do you want them to be harder working? If so, then you need to be harder working. Do you want them to be more kind, caring, compassionate, open? If so, then you lead the way, because if that person sees you being that way consistently and enjoying life because of it, it triggers them to want the same things for themselves. When we can come to accept that our behavior is our own, and when we can accept the way things are and accept our role in wanting to change those things, magic happens in our lives. To give another person acceptance is to open up the gate. If you really want somebody to change and you’ve been really hard on them, that’s not the path to enact change in another person. Unless you’re a high school football coach, the odds of you getting somebody to change by berating them is not so good. If you want somebody to change, the best way to achieve this is by meeting them where they are and accepting them exactly where they are. This means that you accept their struggles as part of their story, and that you accept them even if you don’t agree with their behavior. Even if you don’t approve of their behavior, you can accept the humanity in them and you can hope to support them through their process. Just being there spiritually for somebody can be transformative. If you really want somebody to change, they have to be open to talking around you. They have to feel a sense of acceptance around you. It’s the hardest part of all of this. I know you want somebody to change, but you need to slow that intention down and, instead, meet them where they are. What would happen if you honored this person? What would happen if you complimented them, told them you understand things are hard, met their difficulty with an open ear or a shoulder to cry on? 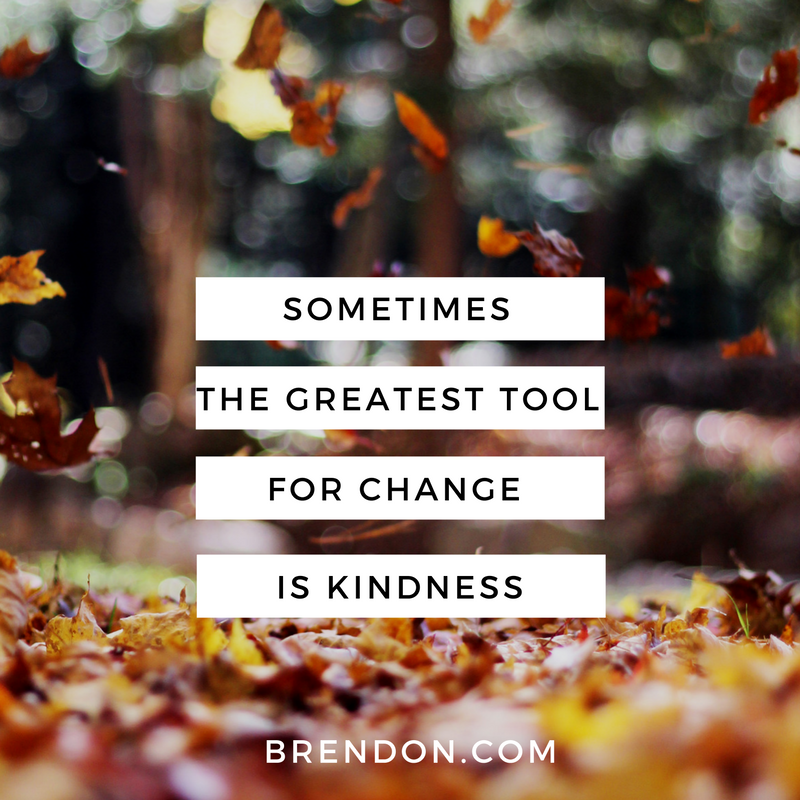 Because sometimes, the greatest tool for change is kindness. Being more kind, empathetic and understanding toward other people, introduces the possibility for change. The third big gate is accountability. This requires that people realize their role in things and take ownership. I remember the biggest change I ever made in my life; it wasn’t for me, even though I was a driven kind of guy. As you know, I’m a writer and a trainer. So, my whole goal was to write; however, I had trouble motivating myself sometimes. I couldn’t change that behavior. It was just kind of stuck. It felt like one story and I couldn’t go to the next level. And for me, the accountability came when I saw somebody who I loved, my then girlfriend who became my wife, struggling. We were struggling financially, and I had to take ownership of that situation to change. I did this by being aware of the consequences before us, and by accepting my role in that. But being accountable also meant acknowledging that I had to be the one to shift things in that situation. You can assume accountability by just sharing your goals. So, get that other person to share their goals with you. Then, acknowledge their goals and find out when they’re going to start moving toward those goals. Getting people to share their plan of action with you, as well as keeping them accountable to that plan, is what starts the process of momentum-building, which opens up that gate to change. From there, they will go storming through. Accountability also comes in play if you give somebody more responsibility. Let’s say you want someone to rise up at work. Instead of just acknowledging that they’re not doing enough, try giving them more responsibility. Make it clear that you need them to rise to the next level, as well as laying out the consequences: if they don’t, then we need to move you to another role, or we need to let you go, or we need to implement a change. 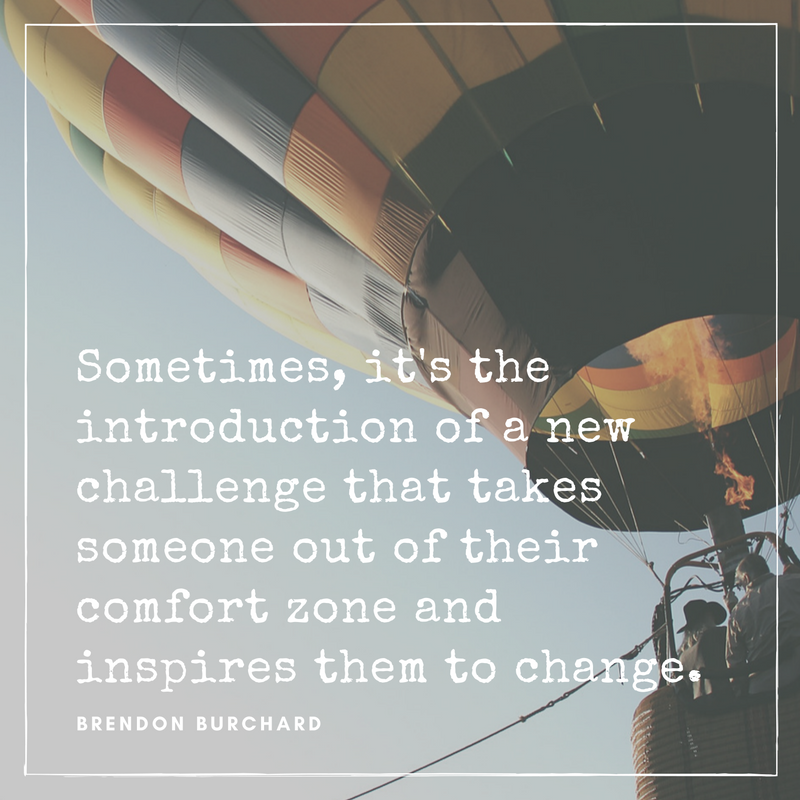 Sometimes, though, it’s a new challenge that takes someone out of their comfort zone and inspires change. Giving people more freedom or more power, even though it seems counter-intuitive, can actually shake them a little bit and allow them to realize that they need to rise to the occasion. What other level of accountability could you set for that person or help them set for themselves? One of the greatest things you could do in accountability is be there for somebody socially. In other words, enact the change with them. So, if someone wants to get healthy, you eat healthy with them. If someone wants to run miles, you run miles with them. If someone wants to lose weight, be workout partners with them. It makes it a little bit of a peer pressure situation, which provides accountability. When there is some peer pressure involved, the participants tends to rise or at least show up more often. The last gate is action. It’s about helping people get momentum. But it’s hard to get momentum if you don’t know what to do. If you want someone to change, you need to work with them. 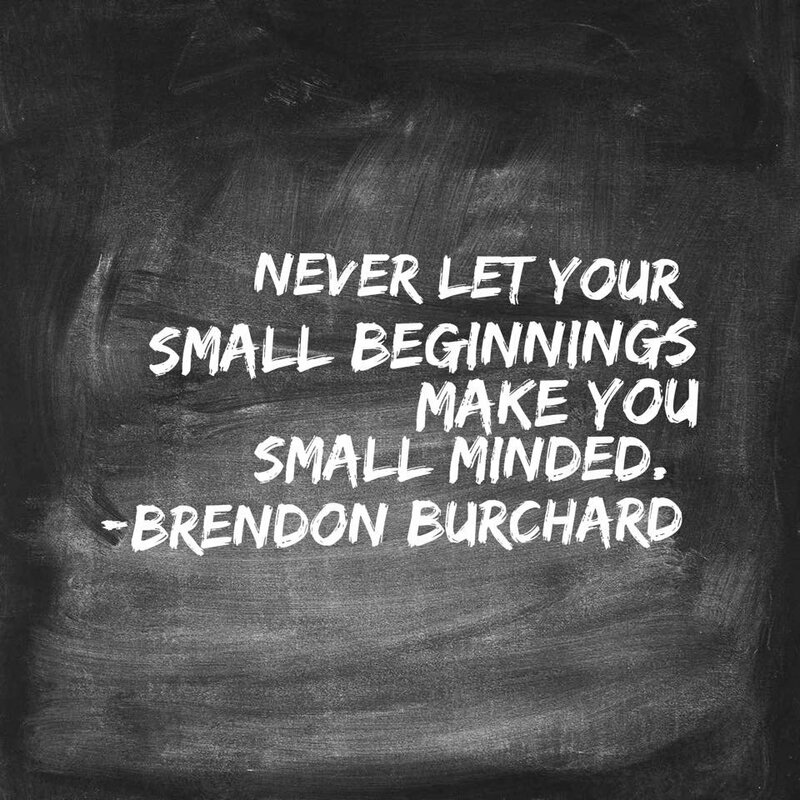 It’s not just about setting big goals; rather, it’s about figuring out the process to accomplishing them. People need a work plan. People need steps. People need a checklist. Lots of people in this world would change if they knew how. They don’t know what to do. So, your job is to help them figure that out. Pull that lever, and you will help them change more. Get somebody just to take a little bit of action by giving them the checklist or the plan. As soon as they start getting a little momentum again, they’ll believe in their ability to change more, and they’ll be willing to change. Help them take action, and you’ll be helping them change. I hope this supports you in inspiring other people around you to reach a higher quality of life. It’s more beautiful in life to accept people where they are, and to take the right steps to help them make changes. Don’t point fingers. Don’t judge. Don’t be negative. You know there is too much negativity in the world. But if you show up and serve as the change, and you facilitate that process by supporting other people through that awareness, acceptance, accountability and action, then you will start to help them change as well as start to experience what we call, The Charged Life.